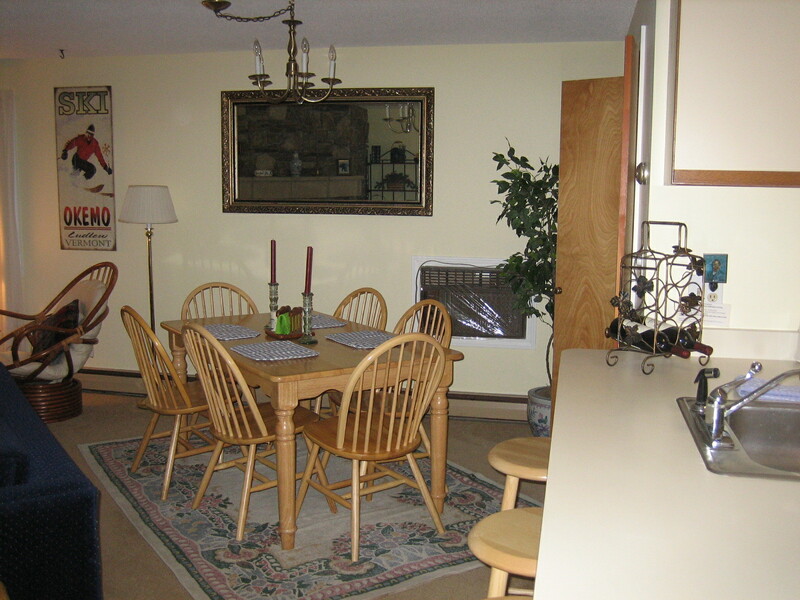 THIS CONDO IS CONVENIENTLY LOCATED ON ROUTE 103 IN LUDLOW. IT IS ONLY 1 MILE TO OKEMO MOUNTAIN, YOU CAN WALK TO THE VILLAGE OR DURING THE WINTER MONTHS (ON WEEKENDS AND HOLIDAY WEEKS) OKEMO PROVIDES A SHUTTLE TO THE MOUNTAIN THAT STOPS AT THE COMPLEX. THE LIVING ROOM IS OPEN TO THE KITCHEN AND DINING ROOM. 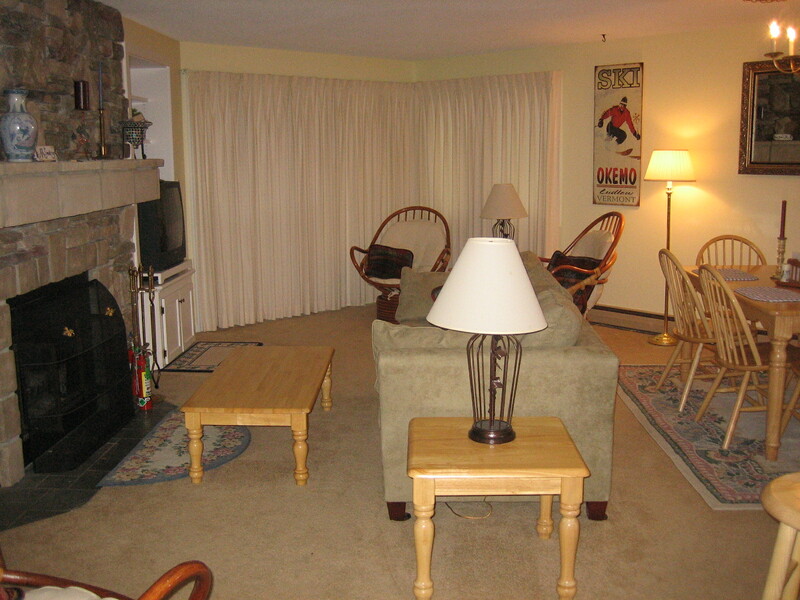 HAS A GLASS SLIDER DOOR THAT OPENS ON TO A PRIVATE BALCONY WITH VIEWS OF OKEMO. 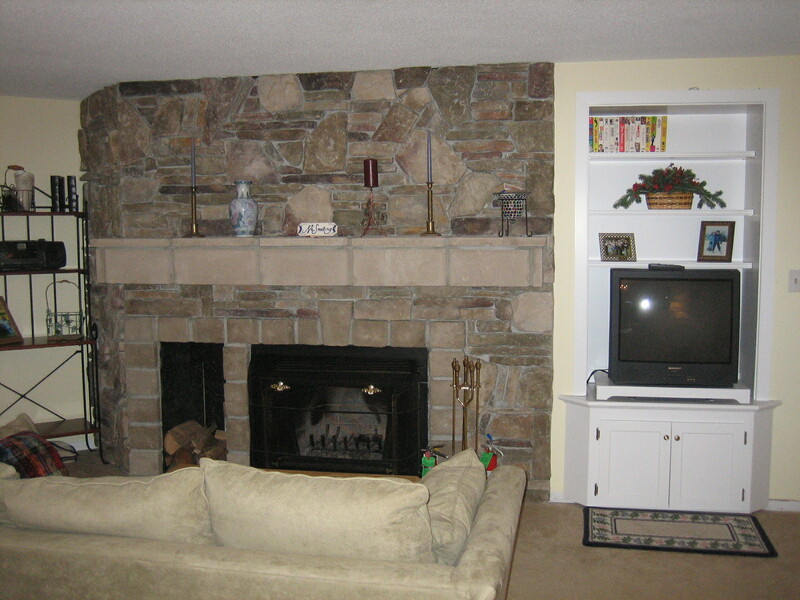 THERE IS A BEAUTIFUL WOOD BURNING FIREPLACE WITH MARBLE FACING, CABLE TV, DVD, VCR, CD, AND AM/FM RECEIVER . 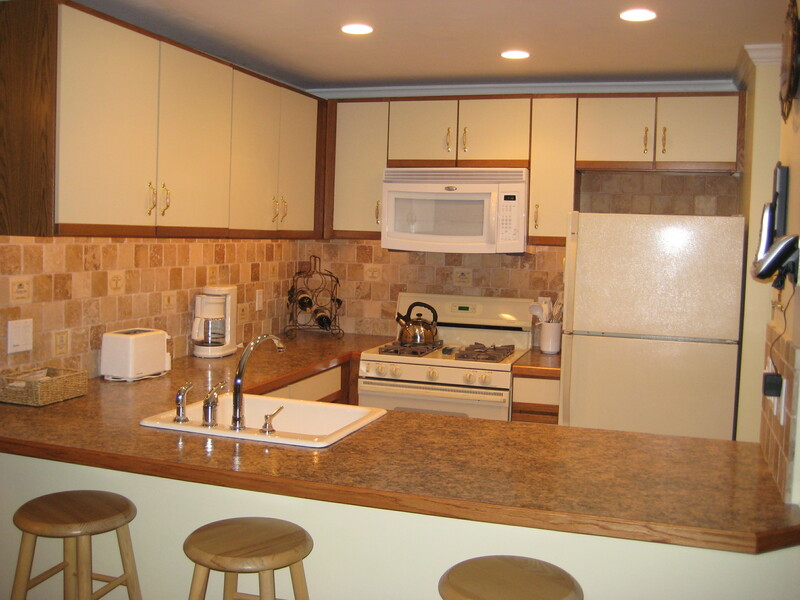 THIS CONDO HAS A MASTER BEDROOM SUITE, FULLY EQUIPPED RENOVATED KITCHEN (INCLUDES MICROWAVE, DISHWASHER, GAS RANGE AND DISPOSAL), WASHER/DRYER AND BED AND BATH LINENS ARE PROVIDED. 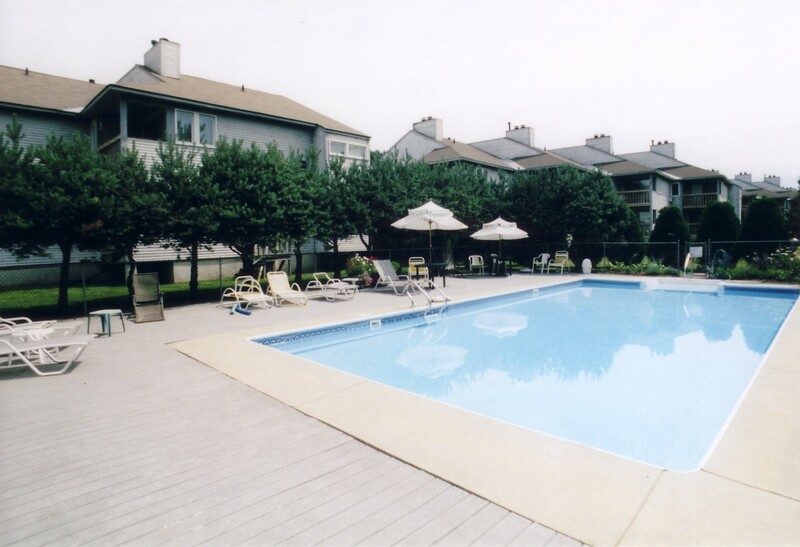 THE COMPLEX HAS A BEAUTIFUL OUTDOOR POOL FOR SUMMER USE. 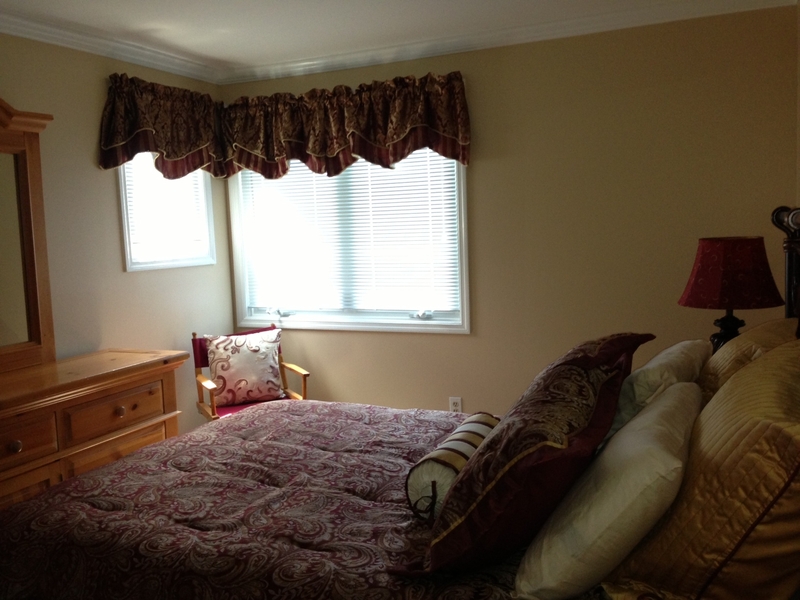 THIS HOME IS VERY CLEAN AND FURNISHED IN A COMFORTABLE DECOR.